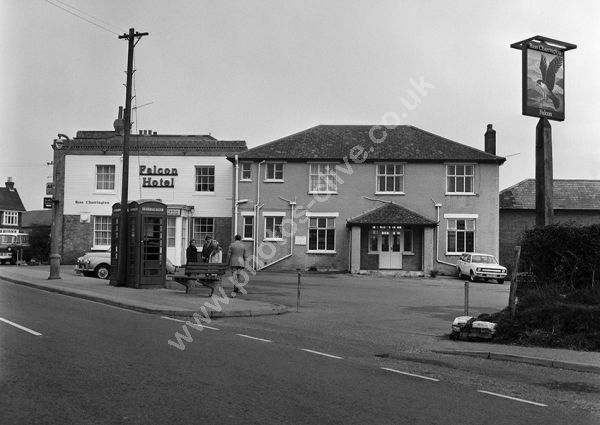 Falcon Hotel, Fawley near Southampton around 1974 when the upper floor was covered in cladding. Four people stand and chat close to two red telephone boxes. For commercial use of this photograph please visit www.alamy.com and search for AEYRBD but for a one off print, please see below.